If you are setting up a new business or has already established and are looking to improve the profile of your existing business. There are many ways in which setting up a website can help you. If you are deciding whether it’s worthwhile or not to your business startup then take a look at some of the cost-effective benefits you can bring to your business. 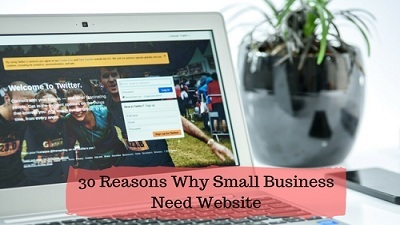 Here are 30 best reasons why your small business needs a website. 1. You can position your business to reach numerous of new customers online. It helps people who are unfamiliar with the area to find your products and services. 2. Adding real credibility to your business and brand. Many people just expect to their business to have a website and may look upon those that don’t with skepticism. 3. Raising awareness of your brand name, particularly if your competitors already have a website presence. 5. Updating your message to your customers whenever is the medium to you or when you have new products and services to promote. You are not bound by copy deadlines for traditional printed medium. For example, you will not be restricted by directories that only publish once or twice a year. 6. Putting your customers in control of how they shop for and choose products and services they require. They can choose what they look at when they look at it and then follow up with you in person. 7. 95 out of 100 consumers expect brands to provide online content about their business on some digital form and that is a website. 8. Your staff will feel more appreciated and this can help you run a better and more people oriented business. The staff is not your cost they are your investment. Treat them right and you will get the best results. 9. When you build a business website you are giving your business an opportunity that tells your customers why they should trust you and your testimonials and your products and services. 10. Your business will be visible worldwide which means you are very likely to gain more customers and the more customers and traffic comes to your company website, it will generate more sales to your business. 11. When you build a business website and provide your business information to your customers online, you save a lot of time and time is the most precious prospects in business. 12. Creating a business website will greatly provide you a value-added service to your customers and clients and is an excellent way to keep your clients return to your business their arises. 13. Once you unveil your website, your customers and your website visitors will immediately expand to everyone on the internet and that is billions of people around the globe. 14. By including answers to your audiences’ queries on your website you will provide your potential customers a solution that will make them help themselves. People are more like to look for a business that has information and solves their problems and queries. 15. People look for information and reviews about the products and services before the even contact companies and when your potential customers have the knowledge and explore reviews about your products and services, then you have already achieved the half of sales process. 16. When you add an “about us” page on your business website, you tell your potential customers about your work, about you, about your business, your employees, etc. and that makes a big difference in business. 17. Websites are live to everyone on the internet and it does not cost much nowadays and you can get relief from many other headaches like no printing costs required, no mailing costs required. 18. Having your business website creates a vast range of your marketing options that are available to your business. 19. Building website for your business is simple and affordable to set up than ever before. Even if you do not have any coding or technical knowledge it now only takes a couple of hours just to create a stunning website. 20. By creating optimized content, building relevant links and creating a brand that customers want to engage with, you set yourself up as an authority in the eyes of the search engine and increase your chances of appearing for the right queries. 21. Almost ¾ of the Earth's population has access to the internet. It doesn’t matter if your Business is big or you run a small family business. You should be online, presenting yourself as one of the providers of products or services. People are more and more looking to do the research on what to buy and more importantly from whom to buy online. 22. Don’t forget that you could do some case studies and provide even bigger value. Because you will show them the process and a happy client. Believe it or not majority of people love to look for reviews and what other people are saying about you. 23. Your website gives you another way to collect data about visitors and generate new leads for your business. 24. You can make better decisions about your marketing and sales. Your offer can be more personalized and with that in mind, you can reach a more targeted audience. This means more leads and clients to your business. It also means your website creates measurable results. 25. You can develop a unique experience for your clients when they interact or do business with you. By having a professional website, which reflects your business values, you are showing your uniqueness. This is something that will separate your company from your competitors. 26. When you provide useful information about your products and services on your website, you can get more customers buying from you. 27. You can decide your site will not be a static one, and you can attach CMS to it or you can develop your business website with CMS and you can have your new ideas and launch your products or services published within seconds. 28. You can reach markets and clients that you wouldn’t imagine before. This is the reason you and your Company needs a website. It is your ticket to a whole new level. Sky's the limit if you put the right strategies behind your business website. 29. A great addition to your blog posts is share buttons for social media. This way your visitors can share your posts and get you even more exposure. With a blog, you will also improve your communication with your potential and existing clients. 30. You can create a site on sub-domain, not visible to anyone else but your staff. Upload instructional videos, learning material and other resources that can help them improve their work. The great thing about the web is that everything is measurable. So, if you are still in doubt having considered all these benefits. One solution may be to set up a simple low-cost brochure site as a starting point. You can measure the impact that has on your business in terms of website traffic and inquiry levels and compares this as a return on investment with your other advertising and marketing efforts. If the impact is positive then you can develop your presence further with confidence that you have made the right decision. Below are some of the best website hosting platforms where you will get a dot-com free domain with pro hosting plan. 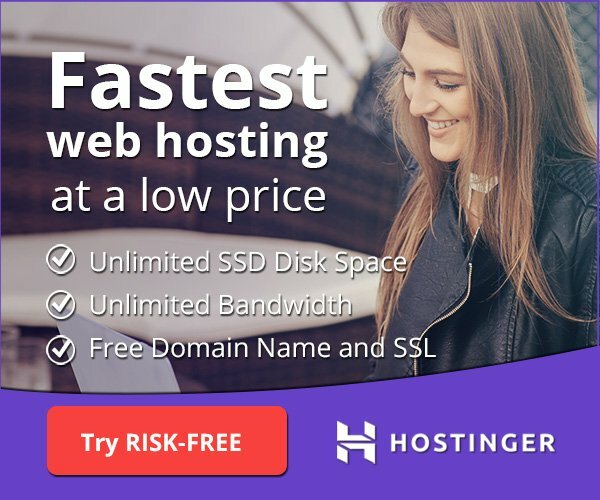 In Bluehost, you will get a free domain with every hosting plans.